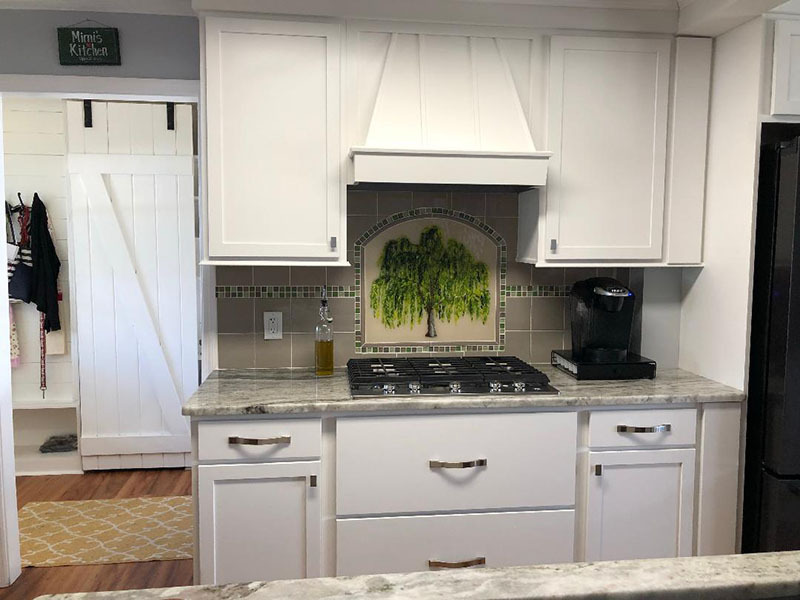 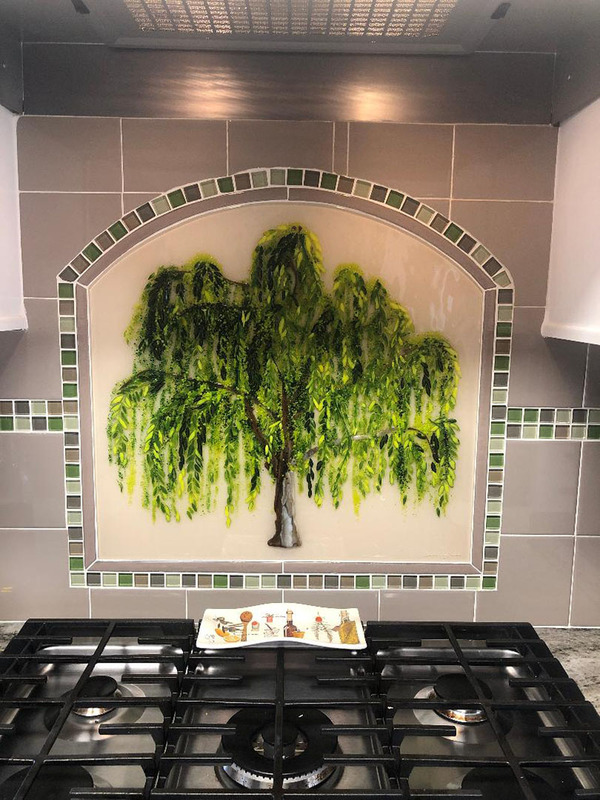 We were commissioned by our client in North Carolina to create a fused glass mural featuring a weeping willow tree for their kitchen remodel. 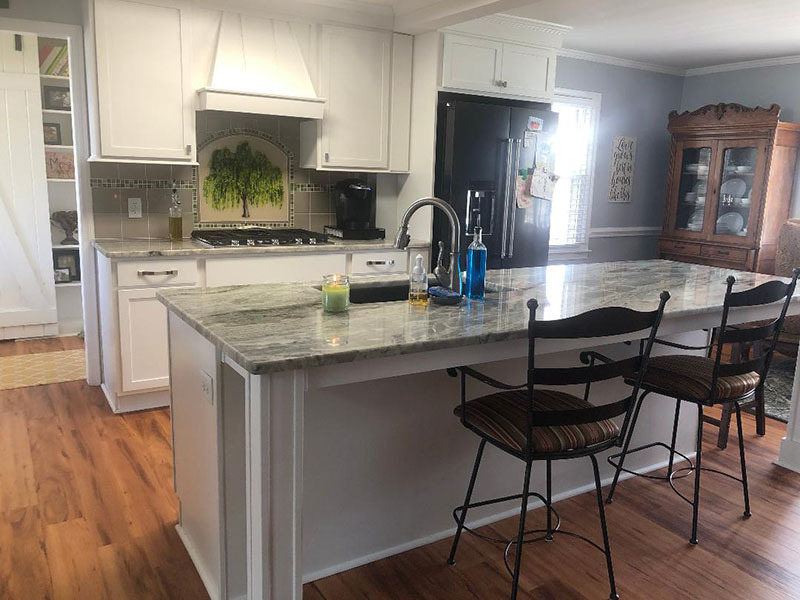 What a real “wow” factor in their gorgeous kitchen. 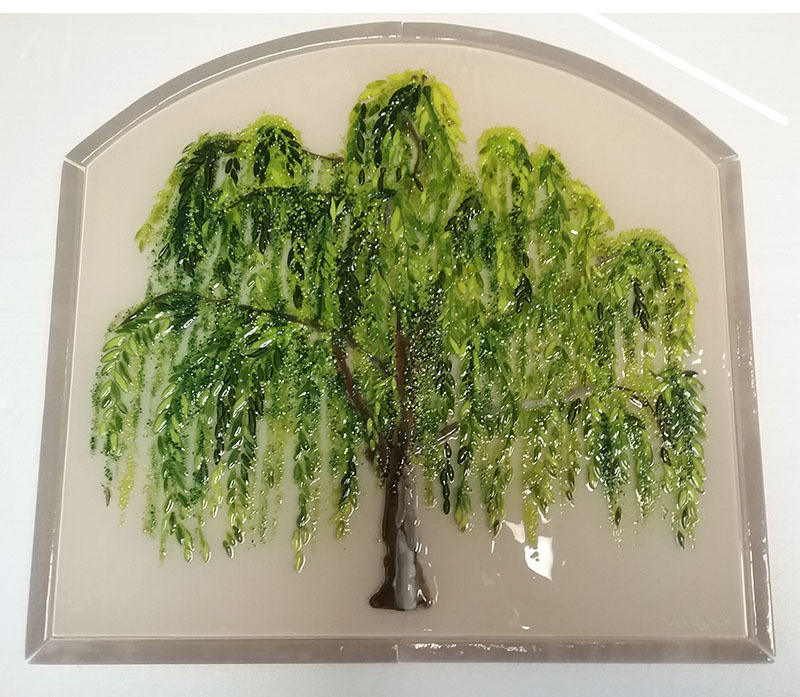 Dimensions 23.5″ x 22″.